In honor of Bastille Day this Saturday, July 14, we want to highlight our “Napoléon and the Napoleonic Wars” course coming this fall. Offered both in the afternoon and in the evening, this course explores not only the battles Napoléon is known for, but also his influence on legal and cultural reform in France and the rest of the world. The daytime course will be taught by popular instructor Newell Boyd, Ph.D. while the evening course will be lead by both Dr. Boyd and another popular and long-time instructor Wil McCorquodale, Ph.D. Dr. McCorquodale is the director of general education and a history instructor at The Art Institute of Houston and holds a B.A. is history from Wesleyan University and a Ph.D. in European history from The University of Texas at Austin. We recently asked Dr. McCorquodale about his interest in Napoléon and what the class will offer. Why do you think people still find Napoléon so fascinating? Napoléon was above all a person of contrasts who epitomized an age of bloodshed and heroism. Victories such as Marengo and Austerlitz confirmed him as a military tactician and strategist of the highest order. But the debacle in Russia and his defeat at Waterloo are equally fascinating. There is also an interesting tension between Napoléon as liberator and tyrant. Napoléon spread the ideals of the French Revolution and shook the monarchies of Europe to their foundation, but he was also a bloodthirsty despot whose ambition and ruthlessness caused the deaths of hundreds of thousands. Is there a particular part of Napoléon’s life that you find the most interesting? What makes him even more interesting to me was his love affair with Josephine. This liaison began in many ways as an arranged political marriage. It was a stormy romance that ended in divorce. But there is strong evidence that Napoléon loved her to the end. Is there a popular misconception about Napoléon? I’m probably going to undermine what I just mentioned, but though we remember Napoléon for his battles, he was also a consummate politician who knew how to play factions in France off against one another. His grip on power was at times very tenuous, even at the height of his fame. In addition, his considerable domestic reforms, especially in law and banking, are often overlooked by the informed public. You and Dr. Boyd will be teaching the class together in the evenings, what can students expect from the class? Dr. Boyd and I are hoping to collaborate to open dialogue about Napoléon. Though the class will be lecture-based, we will also discuss topics together. We hope this sense of conversation will broaden the issues of this fascinating character who dominated one of the most interesting periods of European history. 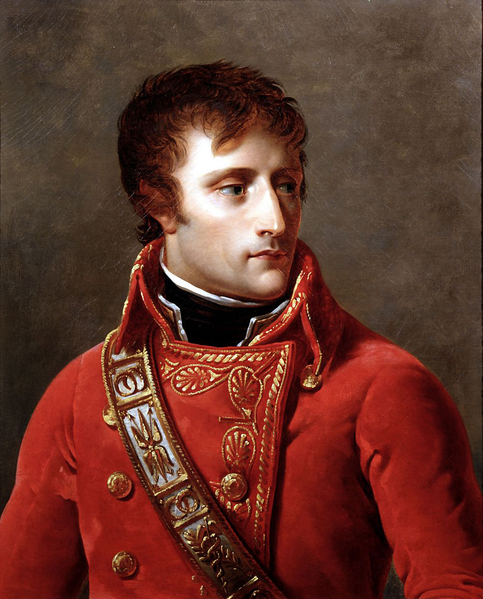 Be sure to look for “Napoléon and the Napoleonic Wars” to learn more about this fascinating man and his times. The daytime section is on seven Thursdays, September 20-November 8, 2012, 2:00-3:00 p.m., and the evening section is seven Wednesdays, September 19-November 14, 7:00-8:30 p.m. Registration for fall 2012 is open. Register for the daytime course or evening course today. Join our mailing list to get updates on these courses and more.